I want to say a HUGE thank you to everyone who has already taken advantage of the 99c special Amazon.com is running at the moment for Akarnae! 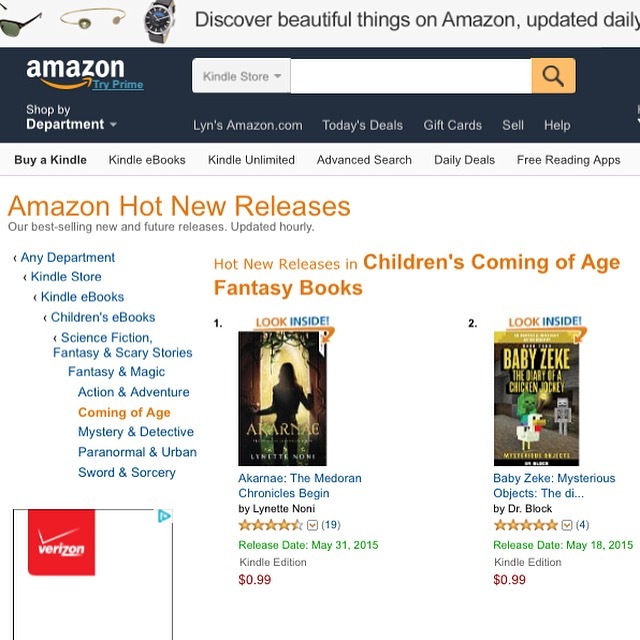 Because of the sales, Akarnae has been bumped up to number #1 on the “Amazon Hot New Releases” page (USA) under the category for YA “Coming Of Age Fantasy Books” – which is seriously so exciting! Look – I took a screenshot and everything! It’s also currently number #4 in the Australian Amazon’s YA “Action and Adventure Literature” category, listed just behind the massively famous new titles of authors Sarah J. Maas, John Grisham and Renée Ahdieh. I’d say it’s definitely in good company! Woohoo!